We give children WOW moments in life. We make the ordinary seem extraordinary, by writing personalised stories for 5 -10-year-old children. In addition, we publish books for 3 – 5-year-old children who love to hear them read over and over again. Why Stories My Nana Tells? Stories My Nana Tells is for kids who want to read, who already love to read, and for their parents and grandparents who want to share stories with their kids. Here, parents and children can embark on amazing adventures together, all the while strengthening family bonds and igniting their child’s imagination and love of reading. Do You Remember Your Own Childhood Stories and Books? The stories we read as children stay with us, all our lives. We remember them all: the stories, the songs and the poems. We remember the ones we had read to us when we were 3 or 4. Especially, the stories that we read ourselves when we were 6 or 7, and then getting into our Pre-Teens stay with us. As adults, we remember those favourite stories we heard, and that we read in our early years. In the same way, we like to share them with our children. They helped form our view of how the world is; how the world should or might be and where we fit into it. It’s the same for your children, too. Sitting and reading a story with your child is a wonderful gift. When they are adults, they will remember the times you shared with them: reading, laughing, looking at pictures and sharing “Wow” moments together. Sitting and reading a story with your child is a wonderful gift. Here, parents can safely access good stories for kids, which the whole family will love to read. unique and unusual things,” said Lesley Dewar. “Stories for 3 – 5-year-old children are an expansion of my library of books and stories, because children learn to read best by seeing, hearing, and then vocalising the sounds of the words they see on the page,” she continues. Being able to read is a gift, and a learned skill. Despite what we might think, reading doesn’t really come to us by “osmosis.” It is both taught and learned. Particularly with children being taught to vocalise the words they are reading. That is to say, knowing how the letter combinations sound is a crucial part of learning to read. Correspondingly, this post on Facebook garnered over 6,000 readers in a short space of time, and a great deal of support. You can read it here, and see the comments. An avid reader and writer since her early childhood, Lesley Dewar is passionate about books, stories and the opportunities they open for us and our children. As a parent and grandparent herself, it’s sharing her lifelong hunger for learning which drives Stories My Nana Tells. Sharing the “Wow” Moments While You Read. These stories will intrigue and surprise you, and your children. Finding good reading material for your child can be difficult. Looking for engaging stories, of the right length and format, is a challenge for many parents and grandparents. Particularly stories and reading which allows for flexibility in busy lifestyles. Stories My Nana Tells will help you meet those challenges! Today’s Technology is a Blessing for Families! Stories My Nana Tells encourages reading and learning in a family environment, using the printed word, pictures, and the internet. 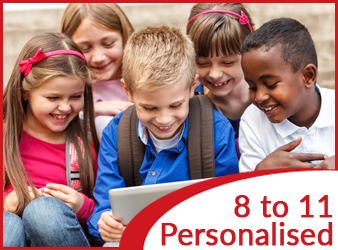 By publishing in virtual and physical formats, children can enjoy reading in different ways. Firstly, they can enjoy the sight and feeling of a soft cover, glossy, full colour book, where they can turn the pages back and forth. This tactile experience is what makes reading such a pleasure. Equally important, they have the advantage of using mobile devices to take their stories with them. Of course, this allows them to continue to read even when they are not at home. Stories My Nana Tells helps parents create the time and space for reading with their children. The story is your ticket to embark on an amazing adventure together, all the while strengthening family bonds and igniting your child’s imagination and love of reading. Who Subscribes To Stories My Nana Tells? Our subscribers are parents, teachers, grandparents, aunts and uncles. Stories My Nana Tells is a great gift to share throughout the year with children aged 6 – 13 yrs old. Or even older. You might like to have the stories to read to your children, yourself. Or have an older brother or sister read them as part of a family activity. It will be easy to chat together about the story. What does Stories My Nana Tells offer you? There is something for every age group, in a library which is growing all the time. Every story, whether personalised for your child, or published as a book, is thoroughly researched and filled with the inspiration to learn more. The printed books are soft bound, glossy, and printed in full colour. Bright, original photographs enhance all the stories and add to their appeal, along with direct links to other reliable sites on the Internet. 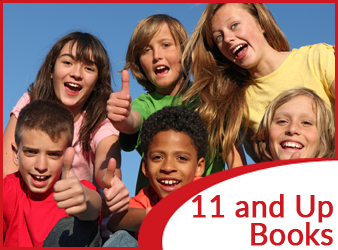 The premium story books are written for young readers aged 7 to 13 years of ago, and come with 15 – 20 questions. These are designed to encourage interaction with the story by young readers. Additionally, they can show off their comprehension and learning. So, it’s easy to encourage more reading and research. Story books for 3 – 5 year old children are new, and you can learn more about them here. Yes, we are writing for Pre-School children as well. 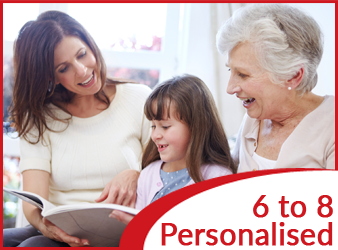 Personalised Stories for 6-8 year, and 8-10 year old children, based on their reading ages. We also have wonderful personalised stories, which take the children on their own journey of discovery. Each story includes the child’s own photos (if the parent is happy to provide them). Specifically they see it has their own name all the way through the text, and some personal information their special interests will make it truly their own. The books are gifted by parents and teachers; grandparents, aunts and uncles. Grandparents, especially, need great stuff for children online, to share for birthdays and holidays. Stories My Nana Tells is a great gift to share throughout the year with children aged 3 – 13 yrs old – or even younger. Lesley Dewar is an Australian grandmother, an avid surfer of the net and a published writer who is constantly travelling, browsing, researching and uncovering the unusual. She has been bungy jumping in New Zealand; flown in helicopters across icy mountains and rocky deserts; trekked across a volcano crater, been white water rafting in Bali and swimming with wild dolphins in Hawaii. She encourages children to be adventurous and enjoy life! Lesley says of herself: “I love the change from a very successful career to writing stories for children.” Given that writing, sales, real estate and financial services gave her a career spanning 40 years, it’s a successful change. Lesley describes herself as having “the ears of a bat and the eyes of a hawk.” Certainly, being able to focus on small events that can be brought to life through storytelling makes her stories memorable. She is a skilled researcher who knows how to uncover the unusual and verify the truth. A published writer since the 1980’s, she also writes regularly for the printed media on business topics, lifestyle ideas and is a guest blogger on various websites. Lesley Dewar is active on conservation issues. She is a well-known commentator on social media and an active campaigner for conservation issues. After 40 years full time in business, Lesley is an experienced net-worker, small business owner, and successful author. She maintains an impeccable reputation for personal honesty and integrity. Lesley Dewar is a recent (2012) survivor of surgery and chemotherapy for triple negative breast cancer. Her approach to her cancer treatment is symbolic of her approach to life. As she says, “sail on, silver moon”. At this time, she is cancer free. Lesley appeared on the Kerri-Ann Kennerly Show (Channel 9, Australia); has been published on the ABC website (Environment); wrote for a high quality monthly magazine for ten years, gives panel presentations and is an experienced public speaker.